The secret is finally out. You may have seen, I recently had the pleasure of joining La Mer at the beautiful Sonora Resort in Vancouver, to learn more about what makes La Mer such a holy grail skincare brand for so many loyal customers. Over the years there have been an incredible many myths surrounding the creation of the Miracle Broth™ used in the best selling moisturising cream and 2018 was finally the time to reveal that well kept secret to the world. It's no surprise to learn the passion, dedication and process that goes into the creation of Miracle Broth™ but finally having the most well hidden secret revealed after all these years, is akin to having the inner workings of a miracle, finally unveiled. 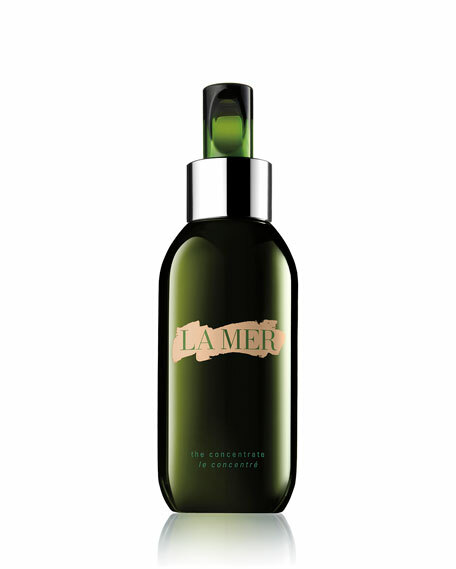 La Mer was founded by Dr Max Huber for personal reasons. After suffering severe burns in a lab accident he became convinced that the sea held the secret that would restore his skin and improve his burns tenfold. He was of course correct. Here lies the secret to the luxury Crème so many people swear by - kelp. Sustainably harvested twice a year, in only one part of the world, according to the tide and lunar cycles of the moon, kelp is the secret ingredient to the brands Miracle Broth™. In the video below of my week spent with La Mer, I was lucky enough to spend one on one time with the wonderfully knowledgeable Senior VP of Research & Development Andy Bevacqua. He wowed me with the most incredible story about how, when re-creating the original cream, the La Mer team realised just how important the sea was in creating the key Miracle Broth™. He led a team of scientists in trying to duplicate the process of creating the Miracle Broth™, but missed out one vital step - exposing the fermentation of the kelp to light and sound waves to replicate it's natural environment and speed up the process. After one final attempt, and utilising Dr Huber's original method utilising light and sound waves, the original cream was created and the miracle was finally unlocked. Thus, the importance of this final step was proven. Each jar of moisturising cream, and every La Mer product in fact, is filled with the Miracle Broth™ and now I know the reason behind just how special the product is, I can see why my skin adores its powerful ingredients so much. To hear directly from Andy just why and how important the Miracle Broth™ is to the regenerating, cell-renewing, moisturising properties of the products that La Mer sell, explains why so many people swear by this unbelievably, scientific brand. Think about how important it is to feel that your skin is radiant, soothed and energised, and you'll see why I personally love all the benefits that La Mer's elixir brings to caring for my skin. You will know that I've loved La Mer for a very long time now and that a number of the products have been key players in my skincare regime (and Alex's) and the reason behind that is simple. Yes we had all heard the myths and we all knew there was a scientific secret kept under lock and key that was behind its healing properties, but most of all the devotion to the products is simply this - they work. And there is a new package in town too. Its vintage design is a nod to one of the earliest designs of the jar and has been released for a limited time only. My other recommendations from the brand would have to be the beautiful The Eye Concentrate, the La Mer The Lip Balm that I never leave the house without and the wonderfully potent The Concentrate that is ideal for soothing irritated skin. If you've never dived into the mystery of La Mer before, the secret is out and now is the time.